Loin Bacon or Belly Pork Bacon is the easiest of all to make. Simply take a piece of free range pork like Gloucester Old Spot. You want a thick slab from an older animal which has been allowed to gain a medium to thick layer of fat on it. 2) Add pork and cure mixture then shake to distribute. 3) Seal end with vacuum seal and double seal end. 4) Leave in cold fridge and turn daily. 5) You need to leave it for (at least) 24 hours per ½ inch or 13mm then add on 2 days. This means belly at least a week and loin more. 6) When ready sometimes you can tell when it is really firm, wash off in cold water, pat dry with kitchen towel. Put on metal drying rack in fridge for a few hours. 7) Can be cold smoked as well at this point or packed and frozen. Can eat right away or leave for a day to get more flavour. I would say that these figures are conservative and you could add a little more normal salt and cure longer and it will taste fine. 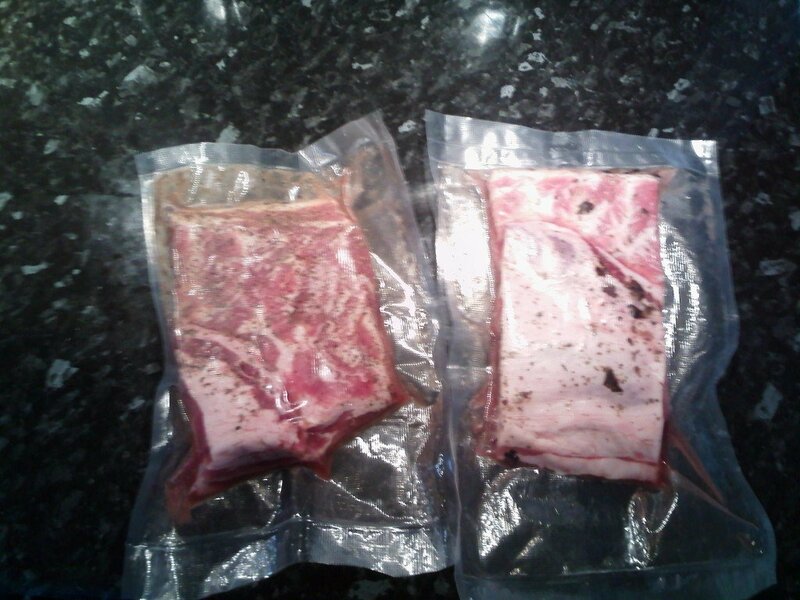 Also this bacon will not last like commercial bacon so best to freeze in vacuum packs and eat on defrost. Also if freezing leave in large pieces for belly then cut to lardons later. Spices – mix what you want. Why not try out…Juniper berries, bay leaf, black pepper, mace, oregano, sage for a range of flavours. You cannot do any harm as long as they are not indian spice mixes which are too harsh.